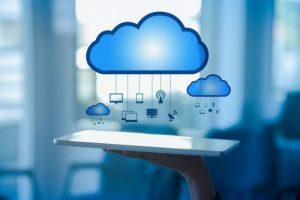 CloudMyServer is a completely new service offering for 2019! Do you have an old server that need updating or replacing? Server slow as snails and need a additional resources? Do you need to secure your server from theft or environmental damage? CloudMyServer is the answer to all these questions and doesn’t require any large expenditures for hardware. In fact, you will never have to buy a server again. You can even add cost effective automated backup, disaster recovery, 24/7/365 help desk, and business continuity services to your plan without breaking the bank. We can create a secure VPN link between your office and your server for encrypted and secure communication. Services start as low as $149.95/month to migrate your existing server to our enterprise cloud environment in our Houston-based Data Center. To get more information just tell us a little about your server(s) so we can generate a quote for you. After we get your information, we will send you a quote to move your server to the cloud. We are built and optimized for Small Business. See how easy and affordable it is to upgrade today.